At Eat the 80, we have a few non-negotiables. One of those being gluten. What is gluten anyways? Well, I’m glad you asked! Gluten is a protein found in wheat, rye, barley and triticale. Other kinds of wheat derivatives include wheatberries, durum, emmer, semolina, spelt, farina, farro, and graham. Gluten acts like glue (see where the name comes from?) to give shape to and bind food. Due to the processed, man-made food age that we live in, gluten is even lurking in products that you would never imagine, such as chewing gum, salad dressing, and cold cuts of meat. We believe in anti-inflammatory, real food. Gluten is inflammatory and hard for individuals to digest. Even if you do not have a known gluten-intolerance (i.e. celiac disease), you still may have an underlying sensitivity that you are unaware of. 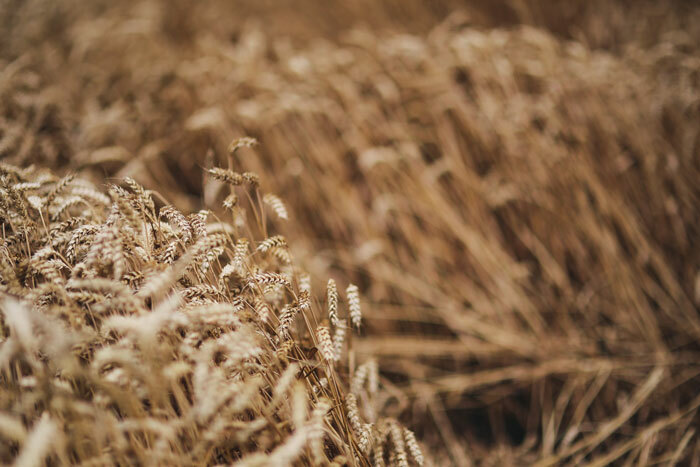 Chronic consumption of processed, gluten-containing grains have a major impact on the health and integrity of the gut, causing small “tears” in the gut lining known as leaky gut. This then opens the door to a whole host of health issues. THIS is why we choose to only create meals that are 100% gluten-free. So, if we don’t use gluten-containing grains in our meals… do we use any grains at all? YES. We do! There are actually several non-gluten containing grains that are highly nutritious and full of vitamins, minerals, and nutrients that support the body. Our personal favorite is brown rice! Unlike white rice which is stripped of its nutrients, brown rice is not refined, which means the naturally occurring vitamins and minerals are preserved. The decent amounts of fiber and protein in brown rice help balance the carbohydrate content of the grain. When you’re eating brown rice, rest assured that the nutrition is plentiful! If you’ve been a customer of ours for awhile, you may know that we have used white rice in the past. Starting this week, Eat the 80 is happy to announce that we now use Non-GMO Lundberg brown rice in all of our meals that contain rice! No more refined, low quality white rice here. We are excited for our customers to experience the benefits of an even more healthy and nutritious meal!